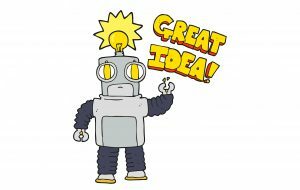 Do you think about making a chatbot for your business? Unfortunately, the seeming simplicity of this technology may cause you to overlook the risks and make ill-considered decisions about the “hows.” Chatbot development platforms, frameworks, tools, agencies, and ready-to-use products are abundant. And wide range of choice often doesn’t help, does it? Here is a list of things to consider that will. If you plan to develop a chatbot, verify your business purposes and capabilities against this list to make a more informed decision. The idea of your chatbot, its capabilities, and most importantly, how sure you are that you need one will determine if you should hire a chatbot developer to get a custom product from scratch or go for a do-it-yourself platform. If you make a chatbot as a sort of an experiment, and the stakes are not high, you may try popular DIY platforms with drag-and-drop interface such as Chatfuel or Motion.ai. This option allows to build a chatbot for a popular messenger with minimum effort and investment. As a result, you may get a bot that handles simple tasks such as linking to requested information on your website or helping users make orders online. By the way, many platforms provide a kit of templates for common tasks to simplify chatbot development. If a single-purpose bot is not what you expect to get, a DIY platform may be not enough. Fortunately, there are plenty of tools to help. The tools that, however, require development skills and understanding. Being fluent with technology, you may use frameworks such as Api.ai or Wit.ai to add functionality and maturity to your chatbot. Of course, it will take time and effort, but provide more opportunity for chatbot capabilities, semantics, and complexity. 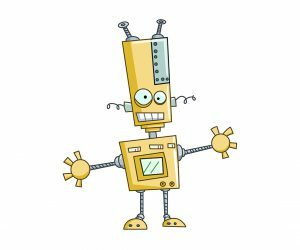 You may have a very clear idea of the bot your business needs. You may even have an evident need for one. Then, you are, almost certainly, ready to invest time and budget into a bot. If your idea is more than an experiment but rather a project, then hiring a chatbot development agency for a custom bot tailored to your business may be the right thing to do. The benefit of assigning a chatbot project to a digital agency is not only in getting business and technology experience. An agency always stands as both a strategist and developer. In other words, a digital agency experienced in chatbots is able to make a truly custom product aligned with your business needs, digital standing, and online presence. No matter how complicated your business task is and how complex the virtual assistant should be. The best thing about custom development is the individual approach to your business needs. With this strategy, you can get proper functionality and maturity for your chatbot and have it adjusted to almost any online placement. According to Forrester Research, many business owners who decide to get a chatbot often “fail to use them properly,” so their virtual assistants never deliver. The most common reason why this happens is the lack of strategy at the very start. 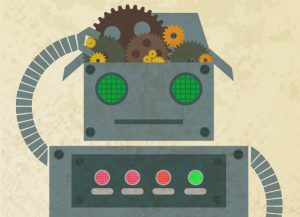 Do you have a chatbot strategy? You can have a clear vision of what queries your chatbot should address, what technology it should use to “understand,” “think,” and reply to these queries, how to adjust it to your current digital standing and tune it into your business strategy. Then all you need is the hands and brains to build and publish your bot. In this case, your choice depends only on how unique your chatbot should be and how techy you are. Many DIY platforms for chatbot development are armed with templates, tools, integrations, and conversation flow builders good enough to craft a fairly complex bot for popular platforms such as messengers and SMS. The lack of strategy is the main reason why chatbots fail. In fact, only rare chatbots with solid strategy and organic integration with business ecosystem manage to bring tangible results and turn users into customers. If you don’t have a strategy, you need to elaborate one or have it elaborated for you. Agencies that specialize on custom chatbot development are an excellent solution, since you get both a strategy and implementation all-in-one. In this case, your strategist considers your chatbot idea, your online presence, your audience and prospects combined with analytics and modeling to make a custom chatbot, one of a kind. However, it comes at a price. Depending on your purpose, you may have a predefined budget, limited at some point, no budget at all, or some investment opportunity that you may assign for building a chatbot or put it into some other use. In this case your choice is rather clear. Most DIY platforms are both user-friendly and free or come at a fairly low price per publishing, subscription, or transaction. Basically, it means that you can make a simple bot relying on open-source tools and squeeze it into a tight budget. Usually, this will be a one-task digital assistant with script-based functionality. The more complex chatbot you need, the more time and effort you will invest. Hence, the more pricey the whole enterprise will get. The thing is, the complexity of a chatbot won't pump its cost because of more tools you will need. Or at lease, not just because of it. Developing an advanced chatbot comes alogn with its continuous improvement based on user input, conversational flow testing, and script enhancement. This will take time and effort, and sometimes expert help. Obviously, it comes at a price, too. Depending on the complexity of your chatbot functionality, integrations, scalability across platforms, and many other variables, the cost of your bot will change. If you have a definite budget assigned for your chatbot project, you may want to trust this project to a custom development agency specializing in chatbots to get an estimate and find out what chatbot you can get for this budget, or how much the chatbot you want may cost. In fact, a sort of clarity in relation to budget is one of the benefits of hiring a chatbot developer. On one hand, you get a detailed usually hourly-rate estimate for your project and guaranteed outcome in the end. On the other hand, even initial estimate allows you to understand your chatbot functionality and your strategy better. In fact, as soon as you understand how much things cost, you may realize if you need them in the first place. For example, you may consider building a Facebook Messenger chatbot that will connect to your custom CMS to provide your clients with some information. However, the integration with your CMS may require recoding of a part of your CMS first and add on to the project cost substantially. In this case, you may rethink and start with something simple to see if your chatbot can engage audience in the first place. You may need your chatbot to speak using your brand’s tone of voice and provide a bunch of functions, from customer support to natural language understanding. Variability, scalability, complexity, and personality of your chatbot will directly influence your choice between a custom or platform-based chatbot development. It may seem ridiculous, but sometimes the simplicity is the most complex challenge, and making a zero-UI is a more complicated task than building a fancy-looking interface. In case of chatbots, simple functionality doesn’t often come along with no effort too. Suppose your virtual assistant handles only a limited amount of conversational flows and just a couple of one-step pre-defined tasks. Then, this chatbot is simple enough to build it using a DIY platform. In fact, these platforms were adjusted specifically for non-developers: a number of templates help to compose an elementary rule-based bot in a day. However, if you need your chatbot to understand natural language and self-educate at some point, your bot is already a pretty complex piece of software. Then, you may miss it without proper development skills or outside help. First of all, smart doesn’t always mean powered by AI. Complex script and rule-based bots may not learn or extract data from queries using NLP, but can handle hundreds of various conversational flows, remember the user’s information, provide personalized recommendations, and connect users with a variety of services as good as an AI chatbot does. To build a smarty like this you may need to address your project to a custom development agency. It doesn't necessarily mean that your chatbot will be stuffed with custom code, however. Development of conversational UX, scenarios, chatbot personality, situations, and outcomes is a job of utmost complexity that requires skills and effort. It is simply more efficient to handle it with the help of a professional. AI-based chatbots are a similar story. Even though NLP engines are open and affordable, and many chatbot frameworks are available for everyone, not everyone has skills to apply these tools. Making chatbot logics, its implementation, and tuning a bot with NLP engine can be a real challenge. For a smarter chatbot, be it a complex rule-based virtual assistant or a self-learning bot powered by AI, a chatbot development agency may be the most efficient and, surprisingly, cost-effective option with guaranteed outcome. Have you made up your mind? Or you need more details to decide how to make a chatbot? Contact our team to talk about chatbots or hire a chatbot developer right away. Need to hire a chatbot developer? Let's talk about your project. Not sure? 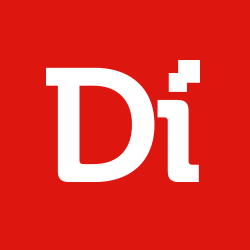 Check the chatbots Digiteum has built for Oxford Dictionaries and Pan Macmillan Publishing.